Gaupe is the Norwegian word for Lynx. 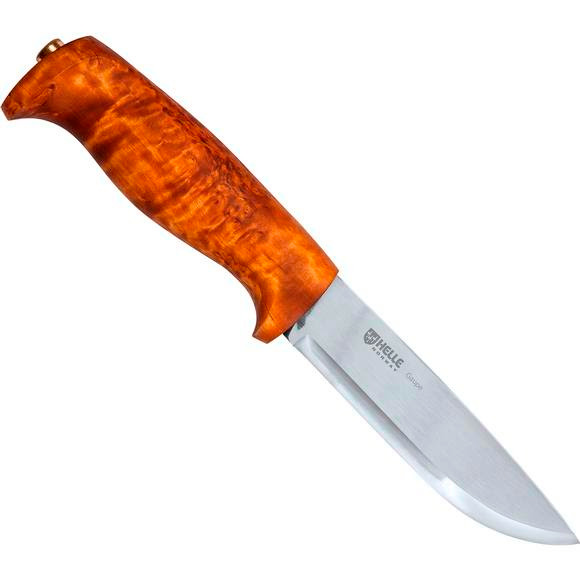 This all purpose outdoor knife sits comfortable in the hand with a slight finger guard. It's triple laminated stainless steel blade offers extraordinary sharpness. The knife sheath is a traditional Scandinavian design with the Lynx footprint as decoration. Gaupe is the Norwegian word for Lynx. This all purpose outdoor knife sits comfortable in the hand with a slight finger guard. It&apos;s triple laminated stainless steel blade offers extraordinary sharpness. The knife sheath is a traditional Scandinavian design with the Lynx footprint as decoration.